I am pleased to present You our offer to rent luxury cars and minibuses with a driver. We are available 24 hours a day, 7 days a week. 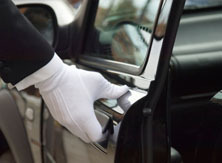 Renting a limousine in our company you can be sure that the commission entrusted to us will be done with special care. Classtrans is created by people emotionally connected with the automotive industry. They are professionals in every way, for which Executive Chauffering Service are not just empty words. Drivers with impeccable presence using a fluent English and a fleet of luxury limousines with free Wi-Fi access are the elements that clearly distinguish us in the marketplace. Executive Chauffering is renting a limousine with driver at your disposal. Well-qualified drivers will take passengers to the meeting safely and on time. During the journey customers can relax with a newspaper (Herald Tribune, Financial Times, USA Today). There are also tissues (lub wipes jeśli mokre chusteczki), mints, chilled water and Wi-Fi at guests’ disposal. At Warsaw Chopin Airport we have our parking space beside the arrival lounge, where we look forward to Client with a nameplate. New! Pick up a "No name" is the client’s pickup from the arrival lounge without nameplate. Wedding is a special day. Choose the presidential limousine for your wedding. Our proposal is Mercedes Class S 550 Long. This luxury and elegant limousine is perfect for such a beautiful day. On request there are other luxury vehicles for newly-weds. Classics Package includes bride and groom’s pickup, limousine decoration (on your own), drive to church (or registry office), drive to the wedding party. Limousine rental time: up to 3 hours. Elegance Package includes bride and groom’s pickup, limousine decoration (in a professional floristic studio), drive to church (or registry office), drive to the wedding party. Limousine rental time: up to 5 hours. Avamtgarda Package includes bride and groom’s pickup, limousine decoration (in a professional floristic studio), drive to church (or registry office), drive to the wedding party, limousine available during the photo session. Limousine rental time: up to 8 hours. Limousine for Celebrities. We guarantee appropriate approach to clients’ specific requirements, full availability and discretion. Warsaw by night is a drive through the town with Mercedes S550 Long with a professional driver / night pilot. 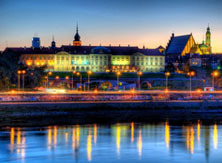 During the night journey we will take you to the top places in Warsaw (exclusive, well- known clubs, the best restaurants. Transit plan for the evening is prepared according to customer’s preferences, based on the current offer of Warsaw clubs. Private driver is a special service developed for individual clients who appreciate the comfort, security and confidence. Your driver will take and pick up children from school, help to make purchases, receive tickets to the theater. Personal Concierge and limousine driver in one.